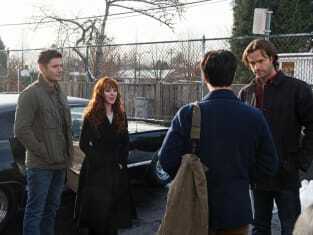 Supernatural Photos from "Family Feud"
Supernatural looks to be continuing its callbacks to the past. Where the return of the Colt took place on Supernatural Season 12 Episode 12, these photos from Supernatural Season 12 Episode 13 seem to indicate that Crowley's son, Gavin, will be back. Gavin was supposed to have died on a ship in the past before Abaddon brought him to the present on Supernatural Season 9 Episode 21. But rather than being sent back in order to avoid messing with time, Crowley whisked him away. So what does his reappearance mean now? 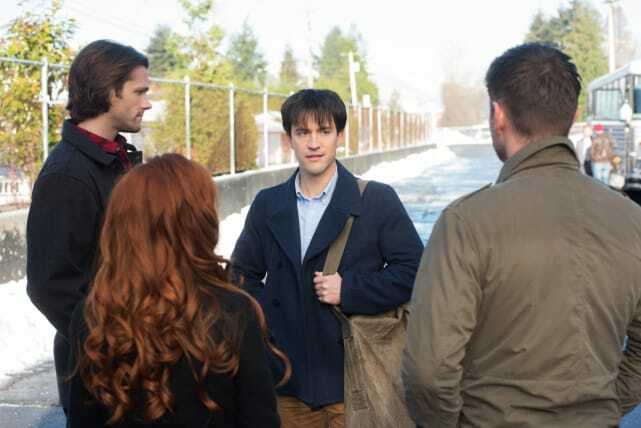 It looks like Rowena is involved, so talk about a family reunion. Get ready for a new episode when you take a peak at these pictures from "Family Feud." Crowley's son has been in hiding since his father whisked him away in Supernatural Season 9. 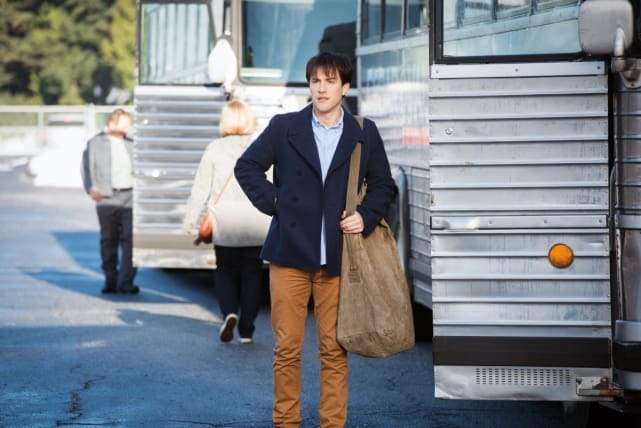 It looks like Gavin has been bus hopping, but he may have been found by Sam and Dean. Sam and Dean have some questions to ask Gavin. But what about Rowena? Isn't she technically his grandmother? Uh oh. Rowena seems to have no qualms talking to Gavin. Maybe she's learning some more about his past? Or he's telling her about Crowley. Mother and son hanging out. Though, Crowley doesn't look to pleased. Does he know his son has been found? 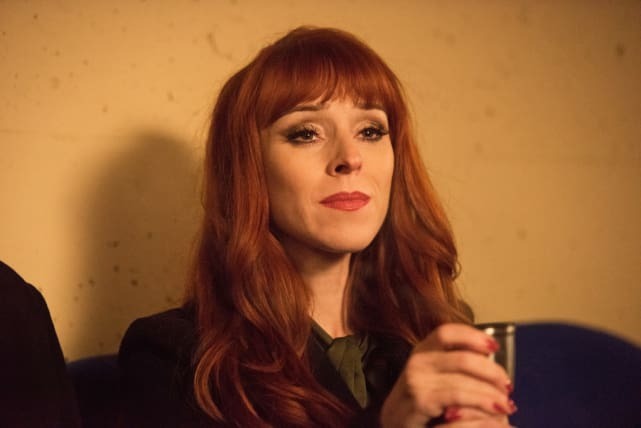 All this family talk must have Rowena questioning her life path. What does she think of Gavin? And will she turn to the good side in the end? 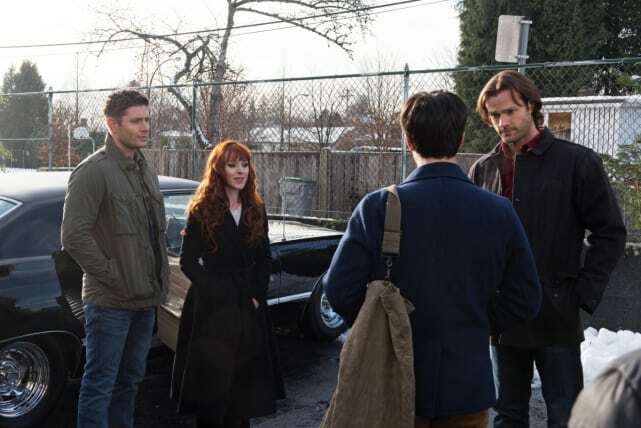 Supernatural Season 12 Episode 13: "Family Feud"
Supernatural Review: A Familiar Face Returns! 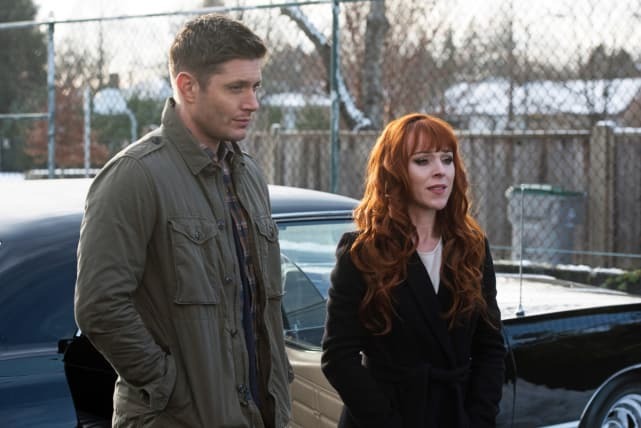 Supernatural Photo Preview: The Return of Crowley's Son? Nothing comes before my family, not even me. Permalink: Nothing comes before my family, not even me. No one is born good or bad. It’s all in the upbringing. Permalink: No one is born good or bad. It’s all in the upbringing.